This Danish man was told that he only had days – maybe even hours – to live before dying of internal bleeding. His last request? He wanted a final cigarette and glass of wine in front of the sunset. 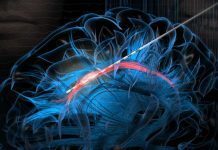 Carsten Flemming Hansen was too ill for surgery when he was admitted to Aarhus University Hospital in Aarhus, Denmark – and he knew it was only a matter of time until he gave in to his injuries. So Carsten asked his nurse Rikke Kvist if she could help fulfill his final wish. 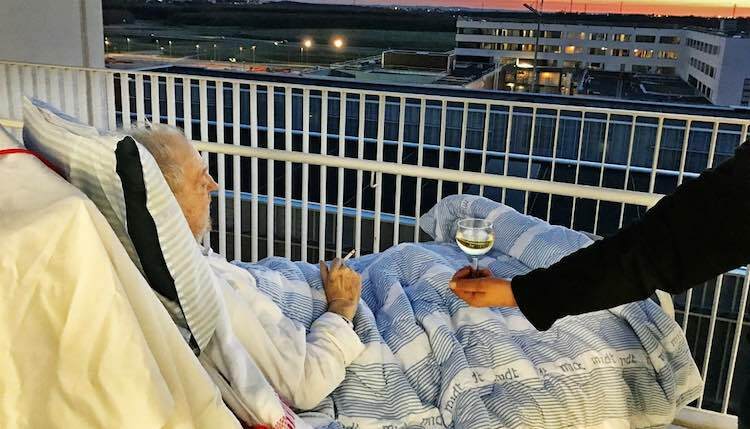 Despite the hospital’s no-smoking policy, Rikke make an exception and wheeled the 71-year-old’s bed onto the hospital’s balcony for one more stogie. Carsten reportedly was accompanied on the balcony by his family and nurses – and though they were sad about his inevitable passing, they said “it was cozy and there was humor”.